The list of entries for the OPTIMA Ultimate Street Car Invitational, presented by Royal Purple and KN, slowly trickles out in the weeks leading up to SEMA. The final ten are announced at the show, two days later they're screaming all over Spring Mountain Motorsports Ranch and then it's over. What just happened? How did that guy do so well? How did that other guy not do better? We're hoping we can answer those questions and many more leading up to the airing of the 2012 OUSCI on television early next year. 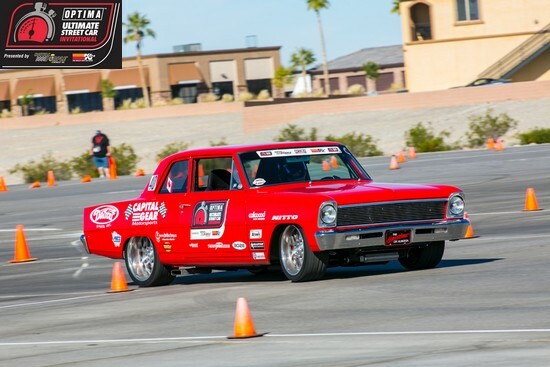 Today, we are looking at Grant Reierson's very cool '66 Chevy II, which came all the way down from Canada to compete in the OUSCI. Grant successfully completed the Detroit Speed/JRI Shocks Road Rally, which netted him ten points up front. 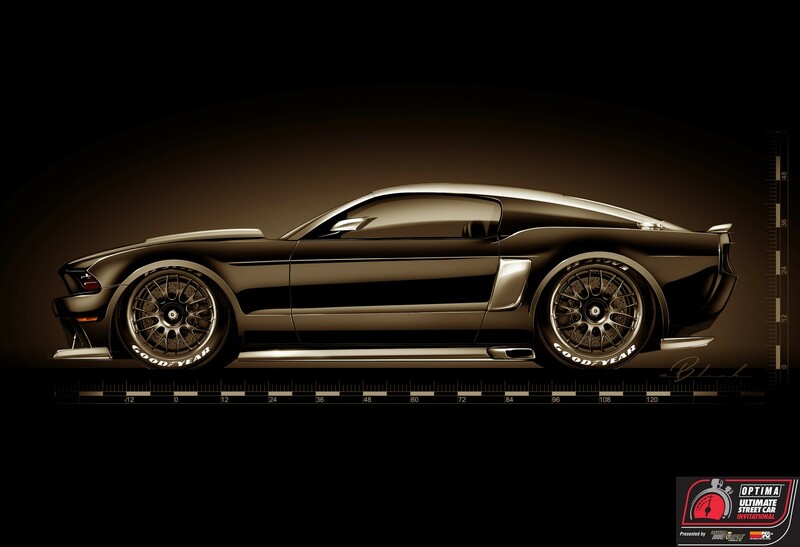 He also picked up three points (18th) in the Lingenfelter Performance Design Challenge. However, Grant had two issues that impacted the rest of his performance at the OUSCI. "I made a fundamental mistake with my car setup in the morning, which most likely affected my placing in the hot lap and autocross by a little bit," admits Reierson. 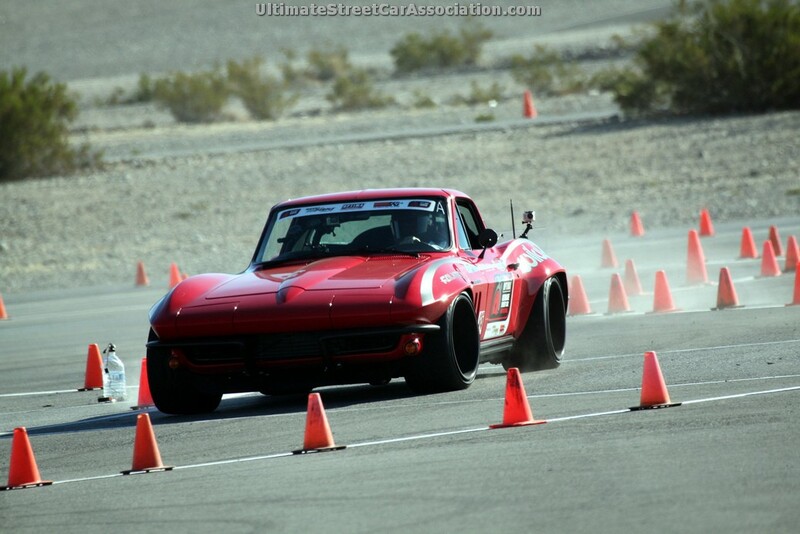 "In the afternoon, I got closer to dialed-in for the Wilwood Speed Stop and I was much happier with how the car performed (32nd), even though I finished better (22nd) in the autocross. Competition was very tight in the RideTech Autocross, with Grant and six other drivers notching times in the 44-second range. The two fastest in that group, Ron Schwarz and Bob Bertelsen, both picked up points in the event, while the other five missed out by less than a second. Grant struggled a bit more in the BF Goodrich Hot Lap Challenge, but he was quickly able to identify the issue. "I changed to fuel-injection just a few weeks before the event and of course, the weather in Canada didn't put it under any stress," says Reierson. "The much warmer weather in Pahrump exposed a flaw that I didn't expect on the final lap. That was shaping up to be my best lap, but went for nothing when the pump overheated on the final trip down the back straight. Based on that experience, Grant would discourage future OUSCI competitors from making changes to their cars prior to the event, unless they are able to thoroughly test them first. "I can think of a couple competitors who changed to larger front tires for this event and had trouble dialing the cars in, because all their previous data for car setup was useless and I believe they finished lower because of that," says Grant. "I changed to fuel-injection and it bit me a bit on the hot lap, so don't change it, run what you know!" Grant has attended the OUSCI as a spectator in the past, so he had some familiarity with the event. The variety of the cars really impressed him, but he was surprised at the lack of performance from some of them and impressed with others that exceeded his expectations. The '40 Ford built by Hollywood Hot Rods and driven by Nick Licata was one such example of the latter. "I talked to Troy Ladd (the builder) and learned it wasn't really built for this kind of event, much less sorted out," says Reierson. The fact that it overcame those obstacles and ran solidly throughout the day really impressed Grant. The one thing Grant might do differently would be to relax and enjoy the event more. "I have attended the event twice before as a spectator, but that didn't prepare me for the game-day hype," admits Reierson. We think a 29th-place finish is still very respectable, given all the hurdles Grant had to overcome on the day of the event and we hope he'll have a chance to relax and enjoy the 2012 OUSCI when it airs on TV early next year.